One of My Favorite Places in Charleston! "Oh, my gosh! I would looooove to live there! It's just so amazing!" Well, it is amazing. But living here has completely jaded me to the things that draw hundreds of thousands of people here each year. Others see the historic City Market: I see a traffic jam because hordes of cruise ship passengers can't figure out how to stand on the sidewalk and are clogging up an already very narrow street. Others see the Battery and Rainbow Row, and I see stinky horse pee (never, ever, ever step in a puddle in Charleston--it's probably not rainwater) and cars driving very, very slowly. Before you call me Grumps McGee, let me assure you that--on occasion--I put away my surly native hat and put on my happy, I'm-so-glad-I-live-here hat. You know, the one where I forget about all of the horse pee and traffic jams and the overabundance of one way streets on the peninsula. 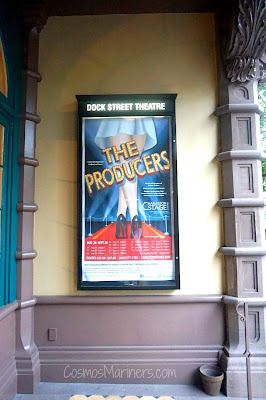 I got to have one of those moments recently when Landon and I went to the Dock Street Theatre to see a production of The Producers. He'd surprised me with season tickets, and I was ready to break them in! I grew up going to school performances at the Dock Street, so the fact that I'm now a season ticket holder makes me feel impossibly fancy and grown-up. The Dock Street Theatre is America's oldest theatre and dates back to 1736. 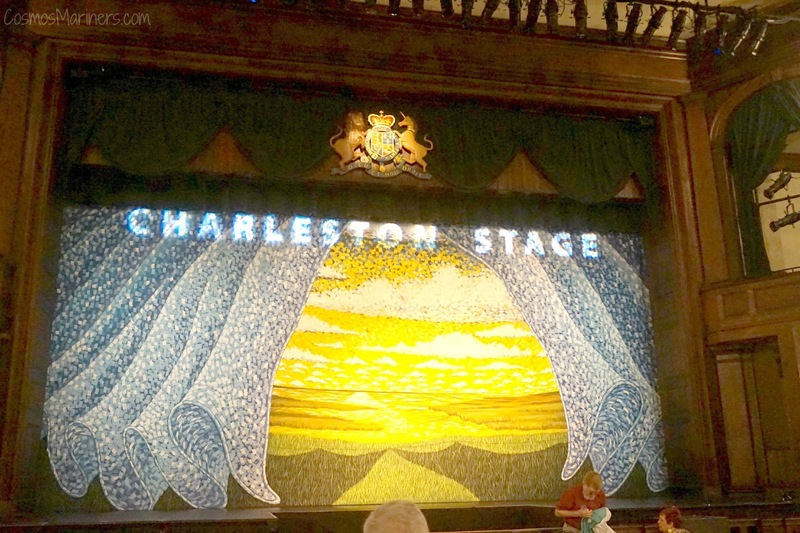 It was the first structure in the country to be built solely for theatrical performances, so while it isn't the site of the first play in America, it's a cornerstone in the history of arts and culture in Charleston and beyond. Sadly, the original structure didn't last long (as they were wont to do back in the day). 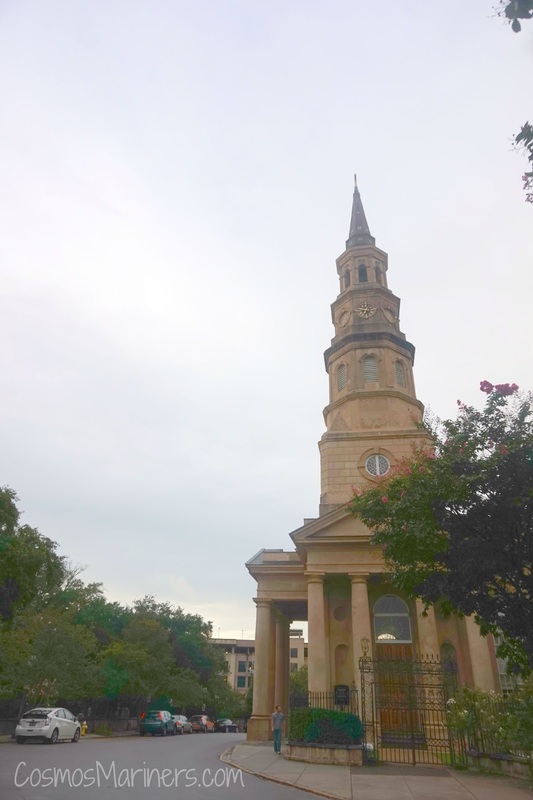 The city records are a little cloudy about when the original theatre was destroyed, but most think that it was a victim of the 1740 fire that took out a large portion of the city. Sadly, the Civil War caused the hotel to be abandoned, and it rotted for years. In 1935, concerned citizens and the mayor petitioned to have the property restored through the WPA (Works Progress Administration), and the current theatre was built inside what was left of the Planter's Hotel. With DuBose Heyward (author of Porgy, the inspiration behind George Gershwin's Porgy and Bess) as the writer-in-residence, the Dock Street Theatre was breathed back into life for the second time in 1937. Even though it's only a few blocks from East Bay and Meeting Streets, the theatre feels tucked away from the hustle and bustle of the usual downtown chaos. The French Quarter, where the theatre's located, is a residential area that's slowly becoming more commercial, so you've got a great mixture of old churches, art galleries, and stately homes surrounding the Dock Street. You can find it on the corner of Church Street (so named for the imposing St. Philips just down the way) and Queen Street. 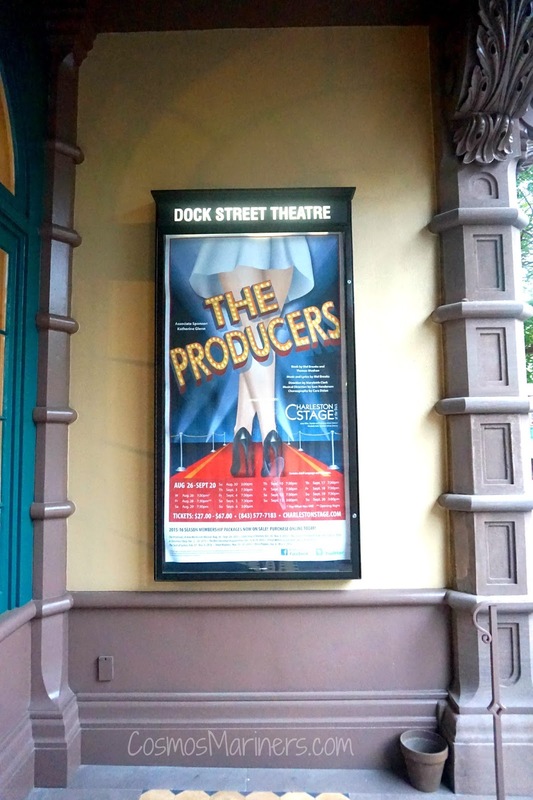 You might wonder what's up with the name since the Dock Street Theatre isn't on Dock Street. Well, the answer to that is that it used to be. 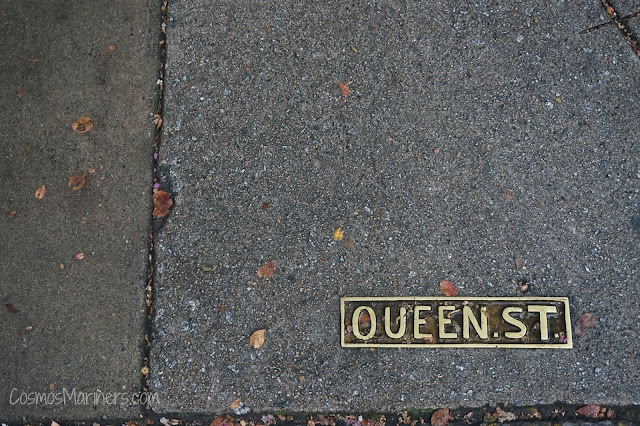 Queen Street was once called Dock Street! One of my favorite parts of going to the Dock Street when I was little was sitting in the balcony seats. The railing is impossibly low for adults, but it's perfect when you're 8! The theatre was built as close as possible to the original 18th century design, so the seats all over the theatre are fairly small and the aisle are quite tight. 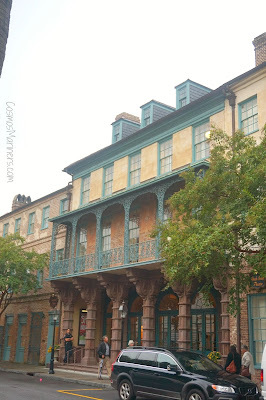 In true Charleston fashion, the Dock Street is supposedly haunted. A young woman named Nettie, who fell from her once predominant position in the town to become a prostitute, is often seen gliding around the theatre in her bright red gown. Strangely, sightings of her only include her body from the knees upwards. I've heard people explain this away by saying that the Planter's Hotel floor (on which she would've walked in life) was a good foot lower than the present day Dock Street Theatre floor--I guess she hasn't gotten the memo that some renovations have occurred in the last century and a half. 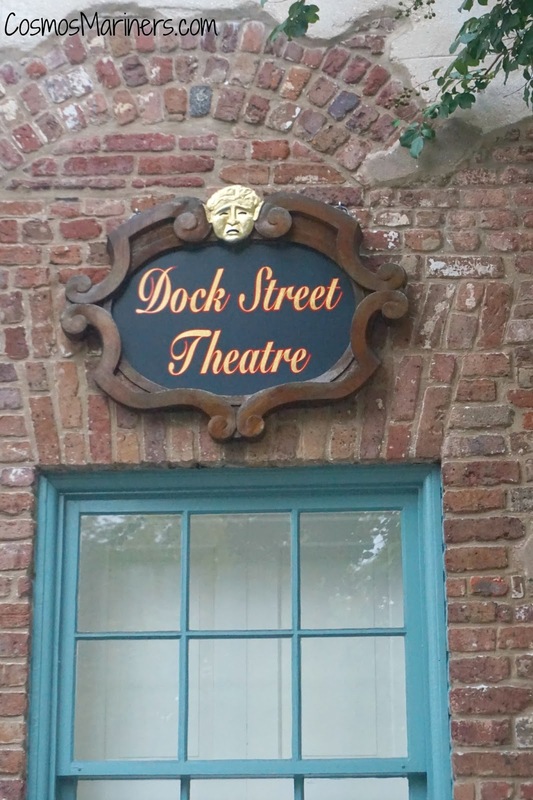 When you're in town, check out Charleston Stage's calendar of events for the Dock Street Theatre. For even more suggestions on what to do in my hometown, check out my first-timer's guide to Charleston. Do you like going to the theatre? 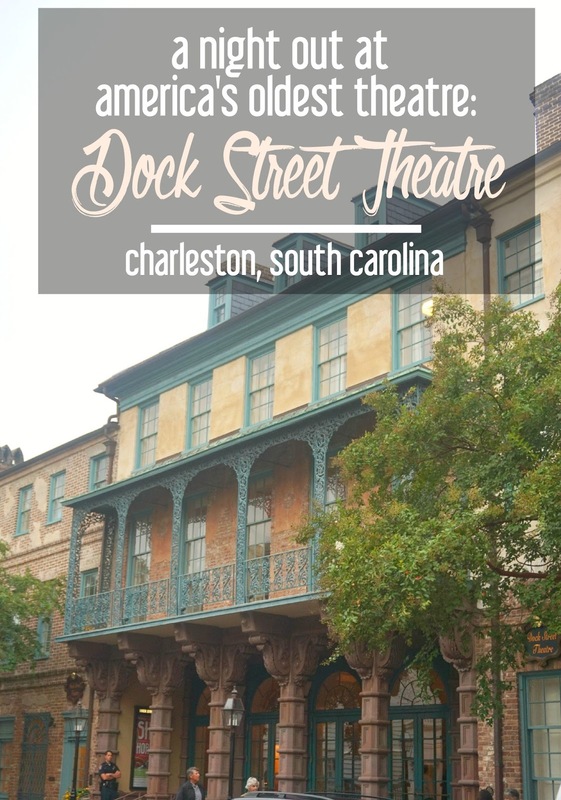 Would you like to add the Dock Street Theatre to your next visit to Charleston, South Carolina?